Scabs form as part of the normal healing process of all types of skin injury. A healing wound and its scab need to be handled with gentle care, especially if they are on your face. There are steps you should take so that your skin heals without permanent scars or other blemishes. Whether or not a wound is on your face or on skin on other parts of the body, steps in the healing response are always the same. 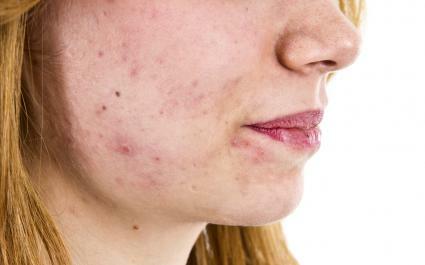 Proper care of of pimples and acne scabs on your face prevents infection and poor healing. The wound healing process begins immediately after the skin injury. How long healing lasts depends on the extent and the depth of the injury. If bleeding, apply pressure with a clean gauze until bleeding stops. Gently clean the area well with mild soap and water. Put an antiseptic or antibiotic cream or ointment on the area if needed. To protect the area, cover with a Band-Aid or gauze pad if needed, especially if the area is draining or large. Avoid using harsh soaps and makeup on the area during healing. Allow the scab to form naturally by touching the area as little as possible. Once the scab forms, keep the area clean and dry to allow the scab to protect the wound until it heals. Superficial wounds such as acne scratches and scrapes have thinner scabs, require less care and will heal faster than more significant injuries. If the initial injury is large or deep, a scab might not form quickly. You might need special medical attention or stitches to close the wound so it can heal quicker. Doing so will decrease the chance of infection and disfigurement to your face. Eat healthy meals and drink adequate amounts of water because essential nutrients aid wound healing. Use as few skin care products as possible to avoid making the damaged skin worse or slow healing. Neosporin or Bacitracin can decrease the risk of infection in superficial wounds. Apply initially after cleaning the area. You can apply a small amount 1-3 times per day to the healing area, taking care not to damage the scab. 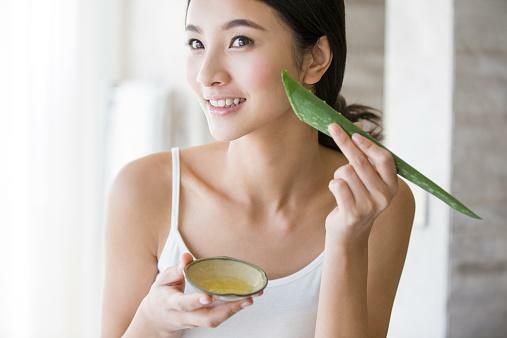 Aloe Vera may have antibacterial properties and can increase circulation in small blood vessels. This might aid healing of superficial scrapes and bruises, but not deeper wounds. Use with caution during healing. Vitamin E Oil does not appear to help reduce the risk of scar formation during skin healing. Its use is therefore controversial. The use of hydrogen peroxide in wound healing is controversial. You can use it as an antiseptic to help clean the wound initially, but continued use could slow healing. It is better to avoid using any solutions or creams during the healing process except what is needed to clean the wound or keep it from getting infected. 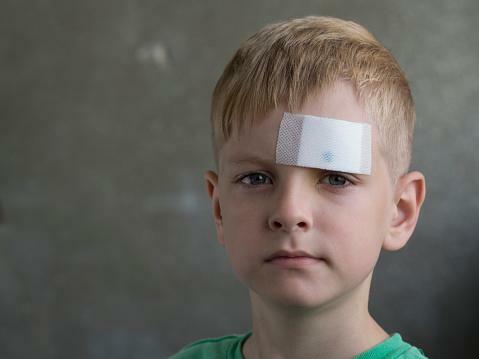 The time frame from the initial response to a skin injury, to scab formation, to sufficient healing can last from a few days to two weeks for small injuries according to the Wound Care Society. Larger, deeper wounds can take a few weeks to months for complete healing. The phases of healing overlap each other. The initial immediate response to wound healing lasts a few minutes to 24 hours. Small scrapes and the usual acne wounds on your face can take about one to to 2 hours. In this initial phase various blood factors stop any bleeding and bind the surface of the injury. The scab takes about one to two days to form for minor pimples and acne scratches on your face and about three to seven days to complete formation for bigger wounds. The scab that protects the wound forms from dried blood and blood elements that form a mesh as a part of the initial response. It falls off on its own in about 3 to seven days for small injuries. Skin surface healing takes about three to seven days to heal for minor injuries to heal. It can take about one and a half to four weeks or more for bigger, deeper wounds. Skin cells start to grow under the scab to form a new outer skin layer during the first one to three days after injury. Any redness fades in few days to a week for small wounds but takes longer for a larger affected area. The best treatment for healing scabs, especially on the face, is to do as little as necessary and let the natural healing process proceed on its own time. Doing this will decrease the chance of infection and minimize damage to your face. If you are in doubt about the initial care of a wound or a scab, or how healing is proceeding, don't hesitate to consult your doctor.